Email marketing is nothing if not a challenge. From the time we launch our first blog, we are repeatedly told to make email collection a priority. In fact, top bloggers are quick to remind us that the money is in the list. So you do all the right things — from creating compelling lead magnets to integrating effective lead capture forms on your blog. Before you know it, you have your first 2,000 subscribers. Your last broadcast was opened by only 11 percent of your list. If that sounds a little too familiar, don’t worry — you’re not alone. 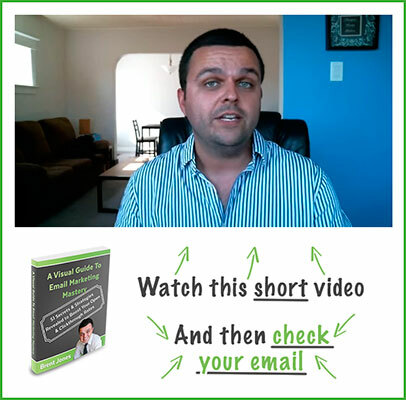 But first, let’s take a look at how to build a high quality email list. In other words, are all subscribers created equal? Your open rate refers to the number of unique subscribers that opened your email, divided by the total number of emails successfully delivered. Healthy open rates tend to vary by industry. For example, email broadcasts sent on behalf of gambling websites are opened at 17 percent, while broadcasts sent by restaurants are opened at 23 percent. Most email marketers consider an open rate between 20 and 30 percent to be very positive, although I aim to exceed 30 percent as often as possible. According to AWeber, my lifetime open rate is 28 percent. Not bad. Will the strategies I show you here instantly take you from an 11 percent open rate to 28 percent? But let’s focus on marginal improvements here, as they can have a big overall impact. Over a year, that represents more than 4,000 additional emails opened. And that is significant! So before we dive into the mechanics of each broadcast you send, let’s spend a little time reviewing how you are building your list. There’s nothing wrong with buying a solo ad or a Facebook ad to drive traffic to a squeeze page you set up. But don’t outright buy a list of names and emails from a third party. Aside from the potential legal backlash, those subscribers have no trust built with you. They could even potentially harm your sender reputation, which I will review in more detail momentarily. If you can’t even get a subscriber to open a confirmation email, what are the odds he or she will open much else of what you send in the future? But odds are, that subscriber didn’t want to hear from me in the first place. What happens when a user enters his or her email address on your blog? Does that user know to go check his or her inbox? Does he or she know what to look for should your confirmation message marked as spam? Does he or she know how to collect the freebie or giveaway you offered? Does that user even know your name, or what to expect from you in the future? You can do a lot for your open rate simply by setting expectations early on. When you opt into my email list, you are taken to a page with a personalized video — of me — thanking you for trusting me with your email address. In that video, I briefly describe the next steps, instructing you to go to your inbox and find the confirmation email I just sent. By clicking the link inside, you will instantly be taken to the download page. Does this all sound unnecessarily detailed? But as bloggers, I think all too often we take for granted knowing how autoresponders and email lists work. Our subscribers aren’t necessarily as familiar with the process. On that final download page, I include yet another video describing to my newest subscriber what to expect from me in the future. In other words, what content will I send? How often? And how can he or she unsubscribe if my content is no longer relevant? The entire idea is to walk the new subscriber through the confirmation process, while also building trust and setting expectations. This not only means getting more broadcasts opened in the future, but fewer subscribers marking my emails as spam. Now, on to the main attraction… how can we get more subscribers opening your emails? Did you know that emails sent on Mondays have the worst open rates? It’s true. And it probably shouldn’t come as any surprise. Sure, some people are grumpy on Mondays, but more importantly — it’s a busy day of the week. From a statistical perspective, Tuesday is the best day to send email broadcasts. Wednesday is a close second. Further, emails sent between either 8 and 9 am or 3 and 4 pm on Tuesday are most likely to be opened. Your subscribers are often in numerous different time zones. This is where list segmentation can be really useful, should your email service provider not offer an option to deliver broadcasts in local time. When a subscriber is brand new, this answer may vary. He or she may have signed up for your email course, and you set the expectation that you will deliver a new module every 48-72 hours. If so, that is fine. But for a more mature subscriber, the numbers don’t lie — once per week is plenty. In fact, emailing a subscriber more than once per week leads to an increased number of unsubscribes and spam complaints, while damaging overall open rate. After all, how can you portray your newest broadcast as important or urgent if you’re sending a new message every day? If you have an event — such as a trade show or a webinar — to promote, make sure you send the final broadcast promoting it at least three days in advance. This is because it generally takes 48 hours to get 80 percent of your total opens to occur. With that figure in mind, what sense does it make to email your list daily? Half of the opens you would have got will not have occurred by the time your next broadcast goes out. When it comes to discussing email open rates, subject lines are usually the focal point of the conversation. Your subject line is a snapshot of what the subscriber can expect if he or she chooses to open the message. It will often be the strongest factor in determining whether or not what you have to say is relevant. First, let me start by sharing that less is more. Studies have found that subject lines with 50 characters or fewer get the highest open rates. It might also surprise you to know that including personalization has been shown to increase open rates by as much as 14.7 percent. Want one last little truth nugget? A study by ContactMonkey found that including RE: or Re: at the start of your subject line can increase open rates by as much as 92 percent. Before addressing this final point, let me make something very clear — unsubscribes are not a bad thing. If someone no longer wants to hear from me, I sincerely hope they unsubscribe from my list. In fact, from time-to-time, I’ll do re-engagement campaigns through AWeber to weed out the folks who haven’t opened any of my broadcasts in the past 90 days. I’d rather have a smaller, more responsive list, than a larger list full of duds. Because the alternative to an unsubscribe is much worse — and that alternative is a spam complaint. Sometimes a subscriber wants to get off your list, but simply doesn’t know how to do it properly — so he or she clicks the spam button instead. And what results is damage done to your sender reputation. As your sender reputation decreases, so too does your deliverability rate. And let’s face it — you can’t get subscribers to open emails they don’t receive. Here are some helpful hints to decrease spam complaints. First, include an unsubscribe link at the top of the emails you send out. Many email marketers attempt to push the legally mandated unsubscribe link as low as possible in the email. Would you rather that person reports your email as spam instead? Give the subscriber an easy way out to avoid harm done to your sender reputation. Next, avoid sending email broadcasts on weekends or before 8 am local time. Statistically, broadcasts sent early in the morning or on weekends result in the highest number of spam complaints. Spam filters tend to be very sensitive to those words. And again, a broadcast filtered to the spam or junk folder is not very likely to be opened. Today we have looked at four factors that can help to increase your email open rates. 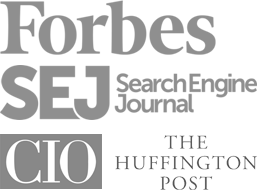 Of course, every list and industry is different — so don’t take these findings as absolute. You need to test these suggestions with your own list. That said, are there any factors you feel I have missed? Have you got positive results through doing something different from what I have recommended? Please share your challenges and successes in the comments below. 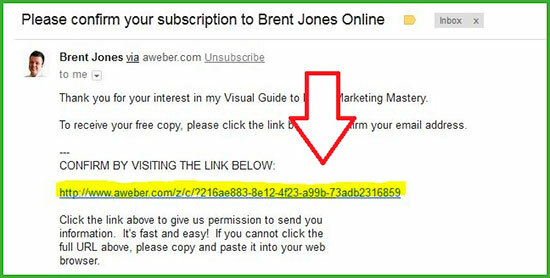 Brent Jones is a freelancer, blogger and internet marketer. He lives in Fort Erie, Canada with his beautiful wife and two dogs.